Showing results for tags 'Mane Six'. what is she blushing about? Always the chubby one in my mind. This turned out to be quite a project. The idea popped into my head a little while ago one mourning. After doing a search on DeviantArt, I discovered there wasn't nearly enough ponies using manes as mustaches. I don't even know what's going on with Pinkie's hair though. It looks like it's doing something impossible to me. Of course, Pinkie always does impossible things so I'll just chalk it up to that. Yeah that sounds good. 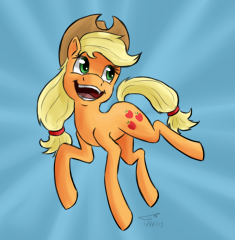 Also Applejack is best mane-stach pone. 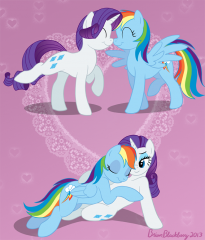 I loved the scene where discorded Rarity does a martial arts kick on Applejack when she thought AJ was coveting her "Tom". So this was inspired by that. 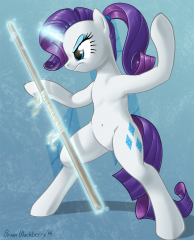 Rarity's mane and tail is an odd thing when detail shaded so may have to alter it for a more natural look for shaded pics in the future (at least get rid of the extra lines). The best food to be found during the Gala could be found in the Dance Hall. 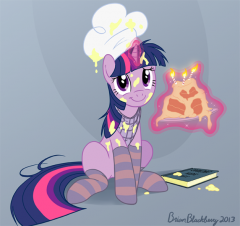 Twilight had spent time reviewing the flow of previous Galas as well as the dining habits and food consumption compared to waste of previous events and found that the high and mighty who had dominated the years prior had done little to no eating during the event, and that for the most part the Gala was a devastating event in terms of waste. So, under protest from several backward thinking aides, she had axed food from the Grand Ballrom aside from simple waiter-bound treats and moved the catering service to the dance hall, where it was expanded with the assumption that everypony who would have an appetite worthy of it would find the Dance Hall a more amiable location. Plus Twilight figured that the flow of the party would be best served in it's greatly increased capacity to keep away from interfering with the Grand Ballroom. Twilight had been a busy Princess thus far, shaking many hooves and greeting many ponies both great and small. Luckily for her it had gone well enough that no disasters had taken her and after a while, she had been able to retire from that activity an get involved in the party proper. She had made a short stop in her own quarters to change out of her Royal Gala Dress to a simpler ensemble, baby blue dress without the excessive ruffles and padding and four shining white horseshoes and tiara left on mostly to remind her that, yes, she was still a Princess with Princess duties should the need arise. It didn't hurt that it looked pretty. She made her back down and into the Dance Hall, where the Gala was at it's liveliest if still not as mad as one might fear. Making her way as stealthily as she could- which wasn't very- she made a beeline for the catering. Royal duties gave her a royal hunger! And I read the instructions from the book line by line too! What if the first episode of Season 3 was about Discord being freed by Queen Chrysalis and teaming up with him to get revenge on Princess Cadence, Shining Armor and The Mane Six?